We are engaged in the provision of premium quality Long Axial Coil Winding Machine to clients at highly economical market prices. This winding machine is known for its efficient functioning as well. Founded in the year 1998, at Okhla Industrial Area (New Delhi), H. K. Enterprises, is renowned as the principal Manufacturer, Wholesaler and Retailer of a comprehensive gamut of Machines. 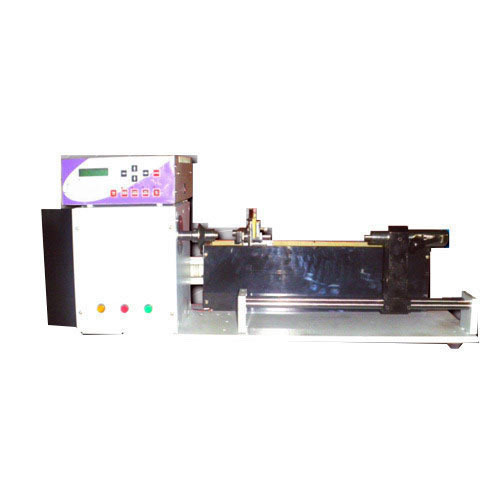 In our offered array we offer these machines Industrial Machine and Winding Machine. These machines are designed using high-grade raw material and innovative technology under the supervision of our experienced crew of personnel. Under the above mentioned categories we offer these products Transformer Winding Machines, Winding Machine, Coil Winding Machine, Spindle Load Machine and many more. The raw material we use to fabricate and develop these products is obtained from the certified vendors of the market. We offer these products in numerous stipulations in order to fulfill the numerous requirements of the patrons. In addition, we offer modification facility on the complete range in terms of sizes and dimension as per the patrons’ precise demands. These products are extensively renowned amid patrons for their optimum performance, corrosion resistance, extended durability, sturdy construction, high strength and excellent finish.